As one of New Jersey’s largest, non-profit health systems, Virtua provides comprehensive health care services to achieve its mission to help people be well, get well and stay well. 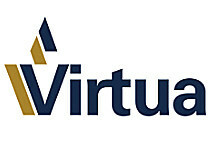 Virtua provides services through Virtua Medical Group with 500 physicians and other clinicians, and at its urgent care centers, hospitals, ambulatory surgery centers, health and wellness centers, fitness centers, home health services, long-term care and rehabilitation centers, and paramedic program. A leader in maternal and child health services, Virtua delivers more than 8, 000 babies a year. It provides health services to 1, 500 businesses, and participates in VirtuaPhysicianPartners, a clinically integrated network of 1, 000 physicians and other clinicians. Virtua is affiliated with Penn Medicine for cancer and neuroscience and the Children’s Hospital of Philadelphia (CHOP) for pediatrics. It employs over 9, 000 and has been honored as the #1 Best Place to Work in the Delaware Valley many times since 2007. It is the recipient of a 4-star rating from the Centers for Medicare and Medicaid Services (CMS) for quality of care, and its hospitals earned straight A’s in patient safety by The Leapfrog Group. U.S. News and World Report ranked Virtua’s Mount Holly and Voorhees hospitals as High Performing Hospitals and Voorhees as a Best Regional Hospital.